In our Faking The Fakes series, we discussed that how people buy and sell LIKES on Facebook. Then we told you how it can negatively affect the EdgeRank of a Facebook. After knowing the negative impact that buying facebook likes can have on a Facebook page, no sensible person would ever want to buy LIKES for his page. What can be done to increase LIKES on Facebook page if I should not buy them? When you launch a new page, you may be tempted to invite all of your friends to Like your Page. NEVER do that. You should not invite anyone who will ignore your content. They may just LIKE it, only to be nice to you. But they will never read anything you write again. If you have a website or blog, you should add a LIKE box or button that promotes your Page on all major pages of your website. If you are already on other social networks, invite your followers on those networks to your Facebook Page. 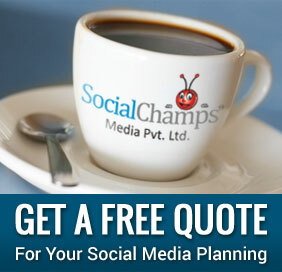 Tell your customers, clients, friends and relatives to follow you on Facebook. If you own a business, put the invitation message about your Facebook page on receipts, cards on tables or anywhere else customers may be looking. Make sure that your Facebook page has a vanity URL that is easy to remember. If you want to get people excited about Liking your brand, you need to go viral. Create a great contest or run a Facebook Offer. When people participate in your contest and engage with posts on your page, they will create a story that will be shared with their friends. This will result in your fan base grows naturally. Think about the value that your Page brings. If you cannot think of any reason someone would LIKE your Page, you need to come up with one. You cannot tell people to LIKE your page just because you claim to be awesome. If you want to provide value to your fans, it could be in exclusive deals, providing information on general sales and specials, giveaways, etc. But apart from that, you need to be human, interesting or funny. Often share some funny posts. Running advertisements is not that expensive. 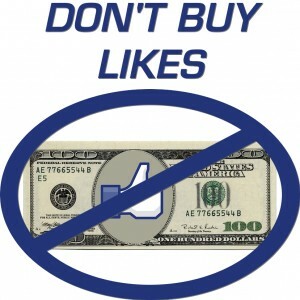 Those who are ready to buy fake LIKES should be willing to run Facebook ads as they are spending money in both situations. Running advertisements is not a dishonest or unethical practice and will not have any negative impact on the EdgeRank of your Facebook. You would not need a large budget. Spending $50 once to attract anywhere from 50-150 new fans would be enough. Or have a low monthly budget to do this regularly. There you have it! There are six alternatives that can fulfill your needs of getting more LIKES on your page without any unethical activity. Which of these six alternatives seem easy to you? Also, do you have any story about buying LIKES on Facebook? Share with us. Well below are other articles on a similar content series called ‘Faking the Fakes’, you might like to read them.